According to the Statehouse statement issued yesterday, the President made the remarks on Saturday while meeting with the EU High Representative for Foreign Affairs and Security Policy/Vice President of the Commission Ms Federica Mogherini, at the sidelines of the African Union (AU) Heads of State summit in Addis Ababa, Ethiopia. In Burundi, President Museveni said, there is no fresh fighting and that the country’s leadership is working more closely with its regional counterparts as witnessed in the recently-held East African Community summit in Arusha, Tanzania. “I am leading the peace process in Burundi and I know that what is disrupting the peace process. We will work to resolve this,” he added. 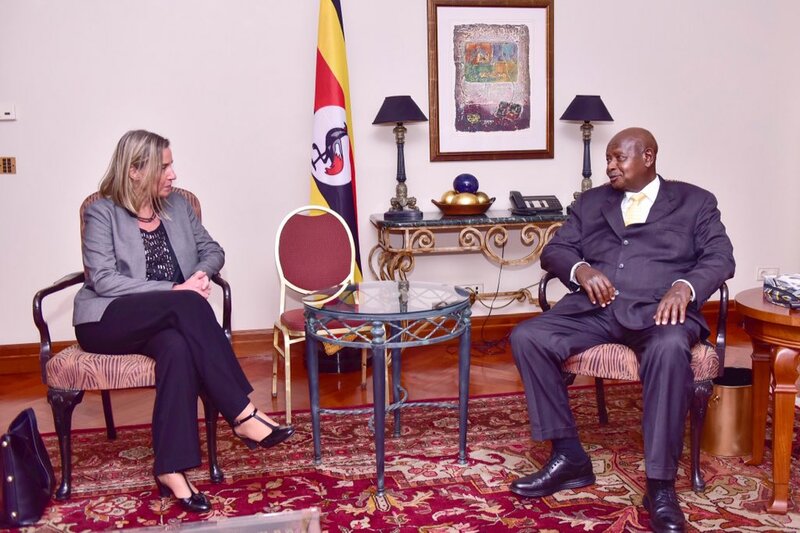 Mr Museveni also reportedly told Ms Mogherini that Europe being closer to the African continent compared to other developed countries, there should be a good relationship between the two partners with solutions for co-existence on matters of substance, not periphery issues. The President further emphasized that Uganda’s economy is steadily growing, addressing the removal of development bottlenecks through infrastructure development; the railway, electricity, digital and utilities among others. “Europe has quite a lot of interests in Africa,” she said. The two presidents also discussed the sidelines of the summit of the African Union, bilateral relations, joint integration projects between the two countries and South Sudan, developing river transport and using the Nile as a link between the three countries. President Museveni arrived in Ethiopia’s capital Addis Ababa on Saturday ahead of the 32nd Ordinary Summit of the African Union Heads of State and government. At the summit, the outgoing AU chairperson and Rwandan President Paul Kagame handed over to Egypt’s Abdel Fattah al-Sisi for the one year tenure.